Danish contemporary streetwear brand Wood Wood has revealed their latest collaboration with Vans! 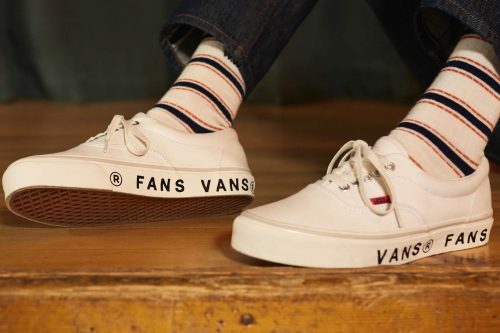 Van’s OG Era LX is reworked under the brand’s Fans Club collection which celebrates fan participation and creative input. The new OG Era LX holds a clean white base with red Vans branding on the outsole. 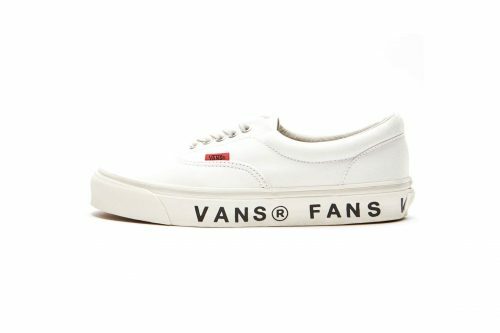 “VANS FANS” is etched out on the panel in black. More items like t-shirts and accessories in similar color ways will be released under the Fans Club collection. The Vans x Fans Era LX will be available at woodwood.com on 30th August. Shipping to our UK warehouse costs only £8, whereas international shipping to a Malaysia would cost a whopping €40, always count on us for the best shipping rate!